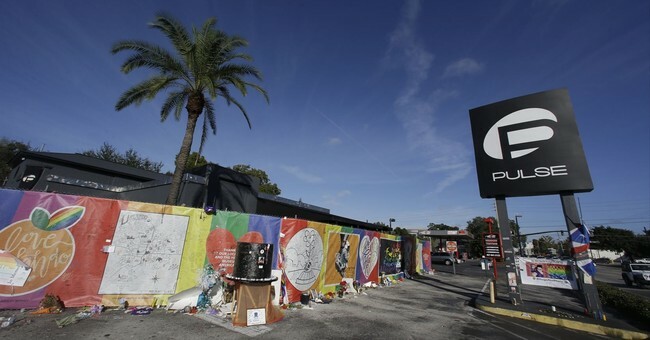 In the closing arguments into the trial of Noor Salman, the widow of the Pulse night club terrorist Omar Mateen, prosecutors alleged that the killer had another target in mind. Mateen, who killed 49 people in his rampage in the Orlando night club in June 2016 before being shot and killed by police, had first intended to open fire on tourists in Disney World's shopping and entertainment complex. Mateen had planned to hide a gun in a stroller, but was "spooked" by police, according to the prosecutors. Assistant U.S. Attorney Sara Sweeney showed the jurors a video of Mateen walking through the Disney complex and glancing at police officers behind him. "He had to choose a new target," Sweeney explained. We now know he followed through on Plan B and opened fire on the Pulse night club, now one of the deadliest mass shootings in modern U.S. history. Now the attention turns to his widow, who is accused of aiding and abetting her husband as he carried out his rampage. Not only was she an accomplice, according to prosecutors, but she knowingly misled FBI agents. Prosecutors said she claimed her husband didn't use the internet in their home, but he did. She also told investigators that Mateen had deactivated his Facebook account in 2013, but investigators found that he had an account up until the month of the shooting and was friends with his wife. She said her husband only had one gun when he had three, and that he wasn't radicalized even though prosecutors said he spent time watching beheading videos and looking at ISIS sites. Her defense team, however, portrays her as a woman with a low IQ who knew nothing of her husband's diabolical mind, nonetheless any detailed plans he had to commit terror.